Jill, her husband, and their children Austin, Juan, and Celia have had their lives changed by Camp Possible, a therapeutic-based summer program for children ages 6-13 who struggle with behavioral health issues. With the help of Camp Possible and its staff, Jill has seen improvement in her kids’ behavior and how they cope with their anxiety. She says she couldn’t be more proud of them and the work they have done with Talbert House. "It has made a huge difference in our family, and I hope to be able to continue this progress for my kids and I hope that other families can benefit too." Chris’s path to addiction began with a Vicodin prescription for a shoulder and neck injury in his mid-20s. What followed was a decade of abusing drugs, losing jobs, and disappointing family. Legally, he incurred several misdemeanor charges. But a felony charge for possession of heroin in 2016 brought him face-to-face with his addiction. Judge Tim Rudduck and Ken Houghtaling at the Clinton County Drug Court referred Chris to Talbert House for treatment. According to Chris, this was a turning point. But recovery didn’t come easy. Chris relapsed in 2017, overdosed, and was revived with Narcan. Judge Rudduck and Talbert House were there. "I was at the end this time. I knew I had to change or die. I found help and love from everyone involved with the drug court. They gave me hope and the desire to change." 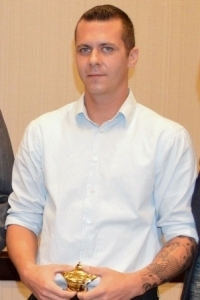 Chris has been sober since February 14, 2017 and graduated from drug court in June 2018. He’s been employed for two years, has his family back, and credits the drug court, Talbert House, and sober living for his success. Tan’yasha was referred to Talbert House more than a year ago after a felony conviction led her to Pathways, a halfway house program for women reentering the community. At Pathways, she participated in groups that helped her build a resume, enhance her interview skills and prepare for her future. 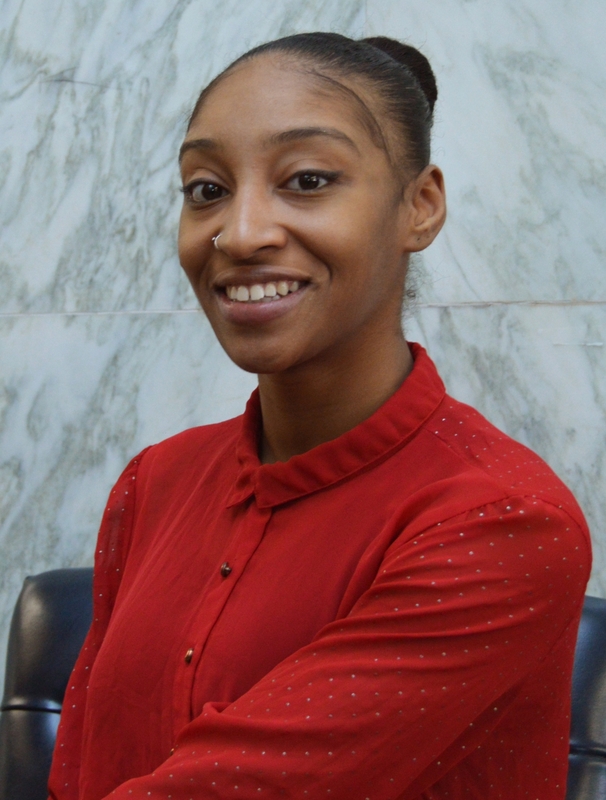 Tan’yasha also utilized the resources offered at Pathways to connect with community organizations including the HELP Program of Cincinnati, which provided further support in continuing her education and preparing for the professional workforce. Tan’yasha is now a licensed Community Health Worker for Health Care Access Now (HCAN), a Talbert House affiliate. She is proud of the work she does because she knows the impact employees at HCAN and Talbert House can have on a life. 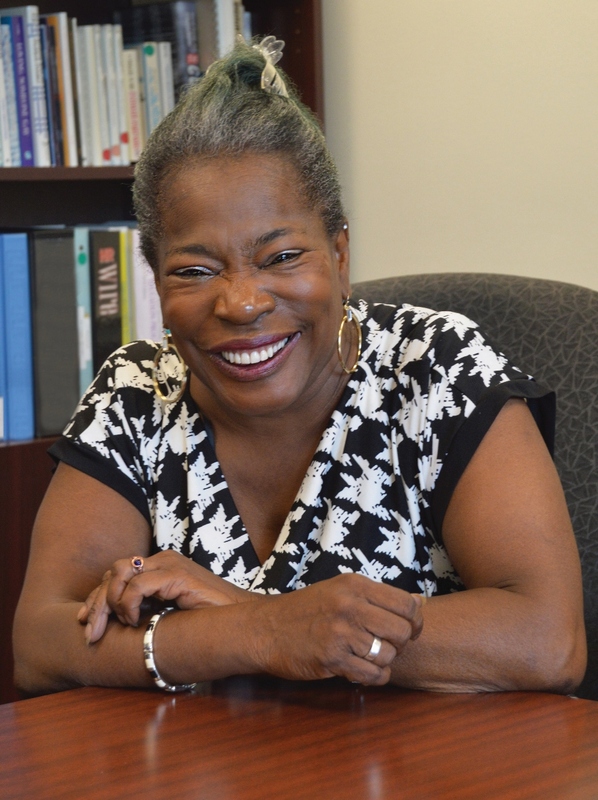 "If there weren’t people doing this work, I wouldn’t be where I am today." Shanta lives with bi-polar disorder and has been a client of Talbert House's Case Management services for several years. Two years ago she fled an abusive relationship and as a result, she and her son became homeless. Shanta was encouraged by her case manager to apply for housing assistance to secure stable, safe, affordable housing. 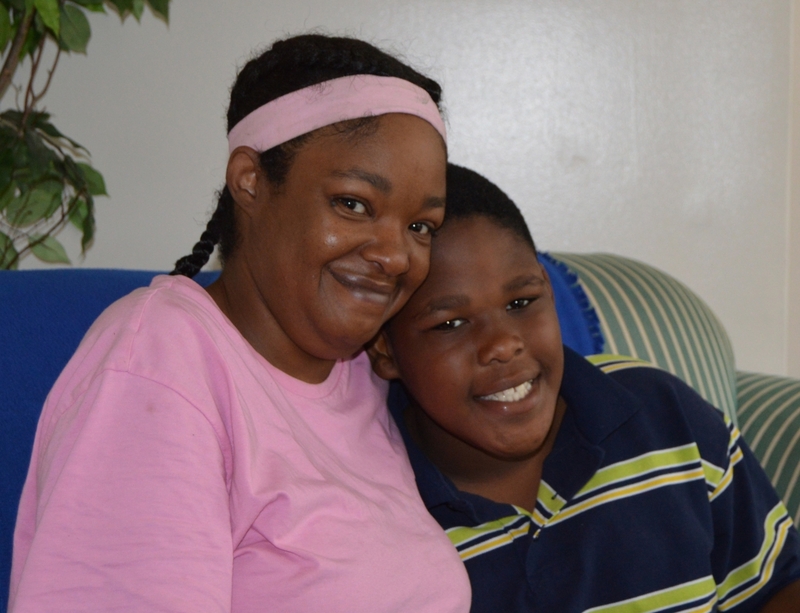 Shanta and her eleven-year-old son are now residents of Freeda Kay II, a Talbert House permanent supportive housing program that allows women who have experienced trauma to live independently with their children. She loves their neighborhood and the family atmosphere of their building. Shanta says the other families at Freeda Kay II have been a support group for both her and her son. Surrounded by a caring staff and neighbors, she is thankful to call Freeda Kay II home. When Mary Kay was young, her Grandma told her she was special and her mom always gave her the "extra vitamin". She was hospitalized several times through her youth and adult years until making her way to Talbert House. Over the years, Mary Kay learned more about her diagnosis and is living life with schizophrenia and bipolar disorder. At Talbert House she found answers and explanations, and she found a family with LEAP (Living Enhancement Activities Program), a social recreational day program for severely mentally ill adults. "Talbert House has been an awakening. Now I wonder, where have I been all my life?" 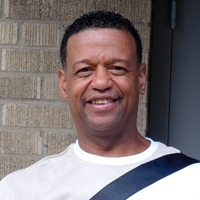 Robert came to Talbert House in 2009 through the Fatherhood Project. At the time he was in the early days of sobriety, unemployed, and had a strained relationship with his children. Then, he graduated from the Nurturing Fathers class, started working, and received help with managing child support. Today, Robert has been employed and sober for nine years and is much more involved in the lives of his seven children and his grandchildren. He has remained active with the Fatherhood Project, attending graduations and supporting fathers currently taking classes. This year, Robert was named one of Talbert House’s Fathers of the Year at the 2018 Fatherhood Celebration Luncheon. Amberly is a young mother that has struggled with addiction since she was a teenager. After being diagnosed as bipolar with an eating disorder at age 13, the years that followed saw her struggling to find stability. When Amberly learned she was pregnant, she got sober and stayed sober for two years. After relapsing, she struggled for another four years until an OVI (Operating a Vehicle Impaired) charge led her to Talbert House. Now, she is taking responsibility for her actions and giving back. She has obtained her CDCA (Chemical Dependency Counselor Assistant) certification, started her first full time job, and enrolled in college. Read Amberly’s full story in the 2018 Annual Report. When Jessica was first referred to Talbert House, she was a mother of three with her fourth on the way. She had been homeless for several months after fleeing an abusive relationship. 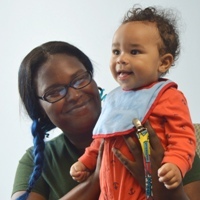 Jessica found her way to Freeda Kay II, permanent supportive housing that allows women who have experienced trauma to live safely and independently with their children. Jessica likes that her four little ones have others to play with in a safe area and in a secure building. "I have all positive things to say. It’s a very good place to raise your children." 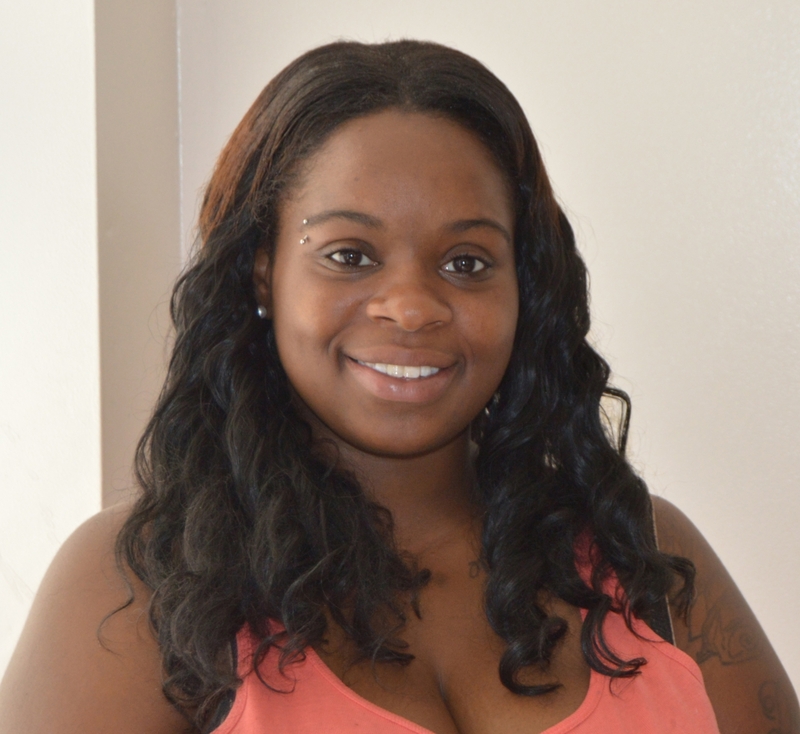 When Nneka was introduced to Talbert House, she was a young mother-to-be receiving cash assistance. A referral from the Hamilton County Department of Job and Family Services was Nneka’s first step out of poverty. 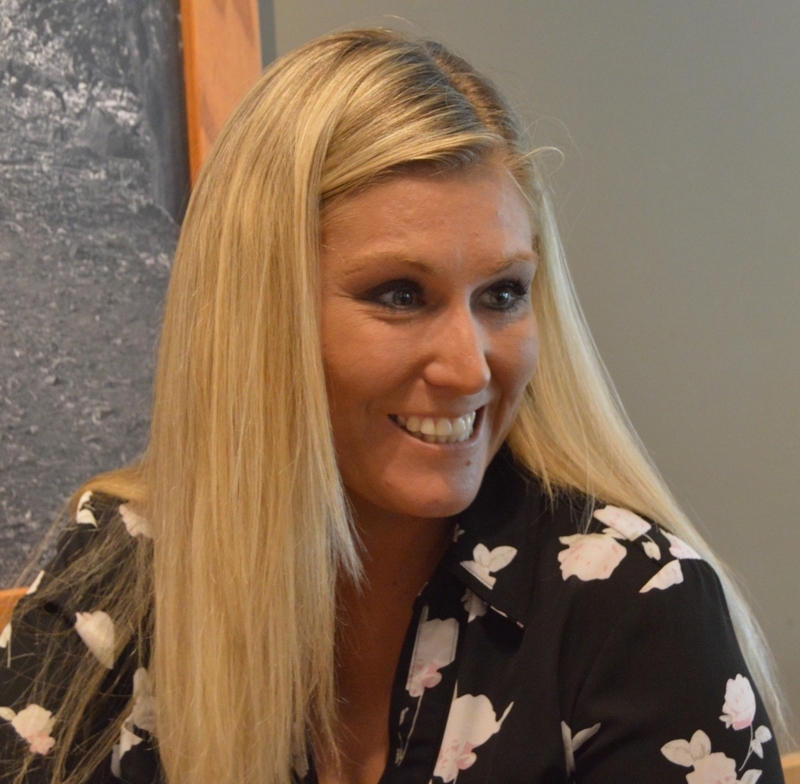 Her journey began to take shape when she was teamed with Ashley Tallent, a case manager who would help her find employment. Ashley began by identifying Nneka’s untapped potential. Nneka’s pursuit of a career began at Easley Blessed, a thriving photography business where she developed a wide range of transferable skills including photography, video, and editing. The future is now very bright for Nneka. She plans to go back to school while working part-time with Easley Blessed. She and her son are thriving. "They have shown me it is harder to keep things to myself and struggle on my own [than to ask for help]." Read Nneka's whole story in the 2017 Annual Report. Tim is a single dad, working part-time and in recovery from a 10-year addiction to opiates. Tim started drinking around the age of 16. His addiction progressed and after an injury, he was introduced to painkillers and later heroin. A variety of convictions led him to Talbert House's Spring Grove Center, a halfway house for men. There Tim found a three-year period of recovery. Then he relapsed, overdosing twice in 2016. Talbert House staff saved him in the parking lot by using Narcan. After another stay at Spring Grove Center, he decided to take advantage of all resources available to him, including traditional therapy along with the medication assisted treatment Vivitrol. 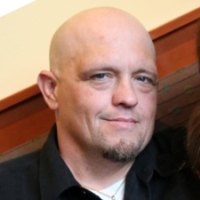 Tim wants others to know that opiate addiction is something you can overcome. He is giving back by offering hope to others who are struggling with their addition. Read Tim's whole story in the 2017 Annual Report. When you meet Steve, he is the picture of health: strong, fit, younger-looking than his 57 years. He has the kind of smile that lights up a room. And yet for years, Steve has struggled with an addiction that’s been difficult to shake, but it’s also taken him on a journey for which he’s surprisingly grateful. Read Steve's whole story in the 2016 Annual Report. Heather, a student a Norwood Middle School, initially signed up for Teens Empowering Community Change (TECC) because she knew the job promoted leadership. 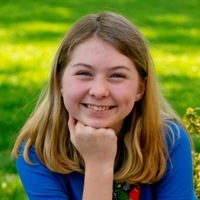 She and her teammates were asked to identify issues facing Norwood teens and to create an action plan for how to help. By doing so, the club members and their fellow students can build resilience, a crucial skill that can help them bounce back even during tough times. It's a skill some experts believe may be the missing link needed to prevent substance use. From Heather's perspective, TECC has been a huge success. "We're actually doing some good in the community. My mom is ecstatic that I'm in the program. She knows I'm doing some good." Read Heather's whole story in the 2016 Annual Report. Robert had addiction issues coupled with other significant challenges in his life. While visiting family in Cincinnati, Robert made the decision to get into an unknown car containing illegal narcotics and was arrested. He was now on the brink of losing everything with the likelihood he would be sent to prison. Robert was sentenced to Talbert House for treatment. 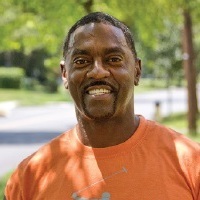 He successfully completed the ADAPT for Men program, learned the life skills he needed, and now finds great pleasure in saying he is clean and sober and able to make good decisions for himself. In addition to a successful reentry, Robert now is employed by Talbert House as a resident manager at Parkway Apartments. 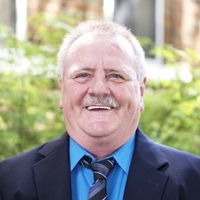 He enjoys his work and is grateful to help others go through a similar journey toward recovery. "Were it not for Talbert House, I would be living on the street or in prison. I am grateful for the help I received to once again become part of the community." Chuck was introduced to pain pills at the age of 12, by doctors, to help with his multiple surgeries for a disease that runs in his family. He was lucky to graduate high school before addiction started taking over his life. At age 18, he had no worries about consequences of abusing prescription pills or getting caught by his mother, so his addiction started taking off. He became chemically dependent and, as pain killers were hard to find, was introduced to heroin at the age of 24. By 26 he started injecting heroin and was homeless by 29. Chuck was soon after arrested for charges of possession and drug abuse instruments in April 2015. "I was lucky enough to walk into Judge Burke’s courtroom, accepted into the ADAPT for Men program, and introduced to recovery. I started learning the tools to turn my life around." Chuck was released from the inpatient program in September 2015 and is continuing his recovery through Talbert House’s outpatient services. He is now proudly employed and advancing his way up through management. 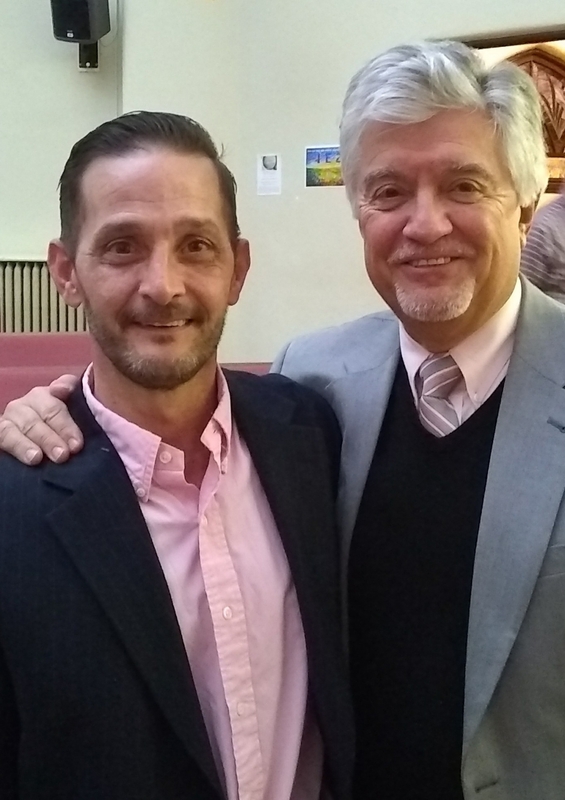 "Thanks to the tools I learned through the Hamilton County Drug Court programs, I now am 17 months clean and my life is continually getting better." It was 1974 and Jim had just spend a year in the federal prison. The circumstances that led to his incarceration could describe so many other young men in the prison system, both then and now. His father died at an early age, leaving him without any male supervision. Eventually he settled into a life of using and dealing heroin, ultimately leading to his arrest. After his release from prison, the staff at Talbert House created an environment to help Jim and the other men in the house begin to change their lives. "I was just getting my head together when I came out of prison, but I didn't have any stability. I didn't really have a home to go to so Talbert House became my home. I could test the water and my freedom there, knowing I always had the safety net of my 'new family' at Talbert House." After Jim's six-month stay at the halfway house, he left with a commitment to living differently. He started a new career as an executive recruiter and, even while still on federal parole, gained custody of his four-year-old daughter. He was determined to not let himself, his daughter, and the courts down. Now he has a successful business and a growing family. "If I hadn't had that halfway house, I think I would have gone back to drugs and I'd be back in prison." Antoin came to the Talbert House Fatherhood Project in July 2007 and enrolled in the Nurturing Fathers class. He wanted to learn how to become a great father for his son and newborn daughter. Antoin gained parenting skills and learned about child development. The program has also assisted him in obtaining permanent housing and employment. Through classes and support, he worked to strengthen his relationship with his children and establish visitation with his daughter. When he learned that his daughter and her mother were moving out of state, he received help from Talbert House Legal Services to set up visitation rights through a Distance Agreement. When he continued to encounter issues with cancelled visits, Antoin worked with legal services along with his fatherhood coach. 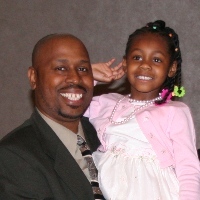 In 2011, Antoin was awarded full custody of his daughter. He maintains a strong, nurturing and loving relationship with both his daughter and son. "I promised my children, they would always know that I am there for them and in turn, they are teaching me more than I am supposed to teach them...I'm still growing" says Antoin. 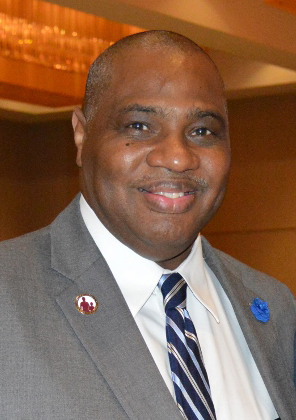 Antoin was recently honored, along with Honorable John J. Gilligan and Honorable Nathaniel R. Jones, as Father of the Year at the 4th Annual Fatherhood Celebration Luncheon.